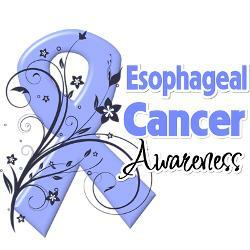 Did you know that Esophageal cancer makes up 1% of the cancers in the United States. It is 3 to 4 times more common in men than women. If you live in the US, your lifetime risk for developing this type of cancer is you are a male is 1 in 125 and if you are female it is 1 in 435. Less than 15% of cases of Esophageal cancer are found to be in people younger than 55 years old. So what are the risk factors of Esophageal cancer? If you have multiple signs listed above, please see your doctor, but remember it may be another condition other than cancer.